Win - FREDERICK (1-1). Loss - MORIN (5-2). Save - LAMB (1). Due to inclement weather, play halted at the end of the fifth at 1:00 PM. Play resumed on April 25 at 12:00 PM. 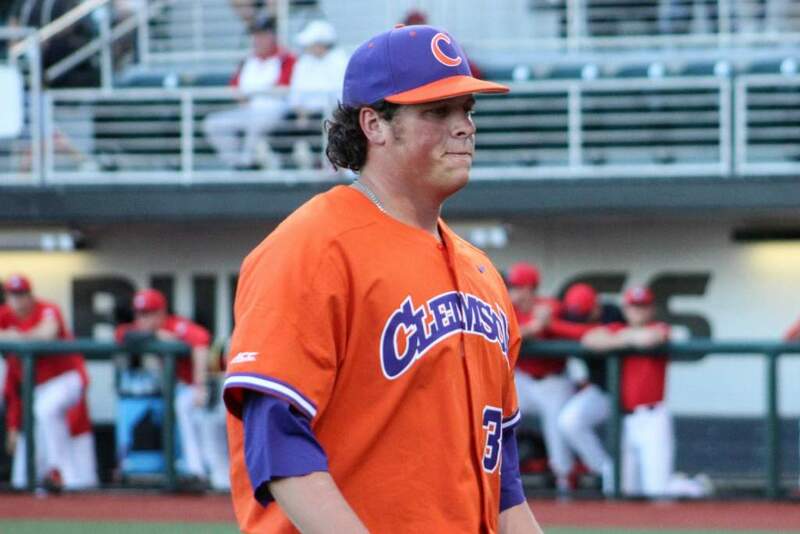 Clemson 1st - JOHNSON struck out swinging. FREEMAN lined out to cf. field. HAZLETT advanced to second on a wild pitch. COYLE lined out to lf. to left field; CAVASINNI advanced to second. WIERZBICKI struck out swinging. MICHAEL walked; BUNTING advanced to second; CAVASINNI advanced to third. down the lf line. 4 runs, 3 hits, 0 errors, 1 LOB. scored. PARKER walked; SCHAUS advanced to second. BATES to p for MUNNELLY. HINSON flied out to cf. 1 run, 1 hit, 0 errors, 2 LOB. lined out to ss. 6 runs, 5 hits, 1 error, 0 LOB. pitch; MILLER advanced to second. SHAFFER flied out to cf to left center. to 3b. CAVASINNI out at first 1b to 2b to p. BUNTING singled up the middle. WIERZBICKI struck out swinging. 0 runs, 1 hit, 0 errors, 1 LOB. singled to shortstop. HINSON doubled to right center, RBI; PARKER scored. GRAEPEL. FRANK singled up the middle. CAVASINNI flied out to cf to left center. walked. HINSON stole second. 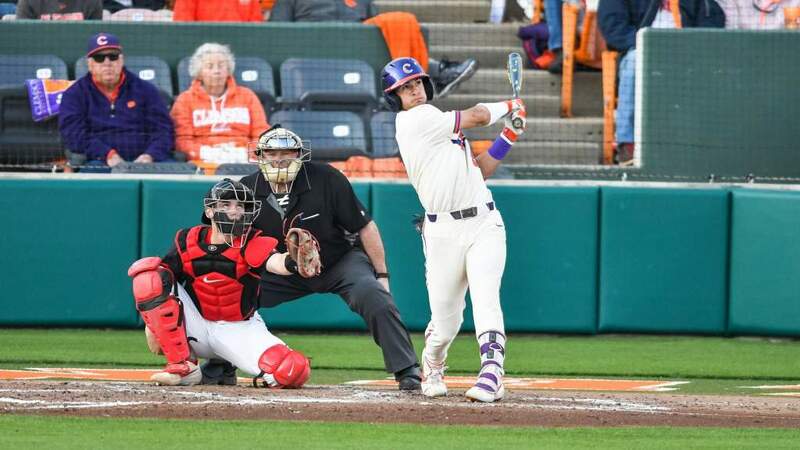 MILLER singled up the middle, RBI; HINSON scored. LAMB reached on a fielder's choice to shortstop; MILLER out at second ss to 2b. for MICHAEL. ROBINSON struck out swinging. GOODWIN singled to shortstop.